I’lls released A Warm Reception last year to a warm reception. The EP contained lush sound-scapes and delicate compositions that were half lullaby, half ethereal prayer. Although a modest release, it went over well with those that appreciated the blurring of lines between band and producer. While I’lls are very much a band in the sense that there are different members contributing to the sound, the trajectory of their sonic growth has aligned them quite heavily towards electronica, the kind that wouldn’t seem out of place coming from an insular bedroom producer. This is by no means a bad thing; it is merely a unique talking point the band that enjoys producing talking-point-tracks. ‘Fifty-Phiphty’ and ‘Asakusa’ are two new offerings that further muddy the waters when discussing what I’lls is. Glitch heavy yet precise, ‘Fifty-Phiphty’ is being called one of the best electronic acts of the year by people that understand electronica way more than I. ‘Asakusa’ follows along the same lines and is, in my opinion, the stronger of the two tracks. Both numbers have a pulse that keeps things moving and the vocal samples are an interesting choice. Unfortunately, something keeps me from secreting a thick froth over these songs. One issue, I think, is the separation of a lot of the human elements of earlier I’lls, which removes some warmth from their sound. See, the big thing that has prevented me from fully immersing myself in the global ocean of electro-sound is that it’s hard for me to make a connection with the music – like there is a wall between me and producer, as rarely are their own words spoken to me (of course, there are always exceptions). Atmospherics are the major calling card for good electronic production, and I’lls provide in spades – but perhaps I need more than that. These tracks are great slices of electronica but the more ethereal and heady the tunes become, the less soulfulness I sometimes feel. Keep in mind at all times that my opinion is my own and respectful disagreement is always fine. I’ll recognise I’lls as being at the top of the game currently, their music is beautiful and masterfully constructed. If you notice anything about I’lls, it should be that they are blurring the line between what music was and what it will be. The constraints of rock and pop are no longer applying to bands anymore, but I am not sure if I’lls would call themselves a band, perhaps more simply just a musical collaboration group. I’lls defy labels in many areas, but I guess the most important label I will give them is one simply saying, [GOOD]. 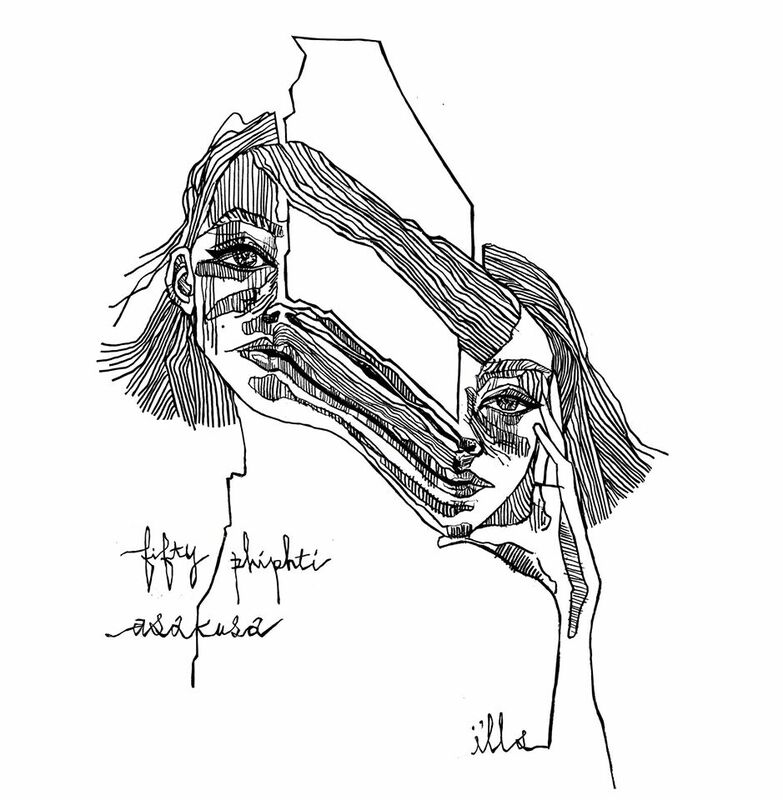 You can buy Fifty-Phiphty/Asakusa digitally and on 12″ vinyl through Solitaire Recordings.